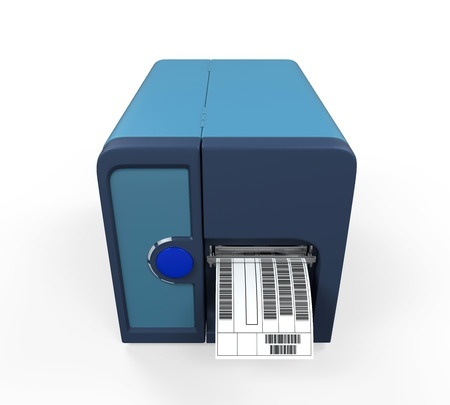 An RFID printer can help businesses across nearly all industries. Enabling you to streamline your business processes, RFID printers are highly useful in multiple departments including shipping, tracking, records management, receiving, product inventory, sales, security, and so much more. In addition to RFID printers, customers know they can count on us to provide them with the high-quality barcode scanner equipment and supplies they need to complete their labeling and barcode systems. We offer laser and omnidirectional barcode scanners, which feature several curved or straight beams allowing the barcode scanner to scan the entire label or symbol quickly and easily. We are happy to help customers determine which make or model is best for their business’s needs. In fact, our team of hardware and software engineers can design and implement entire RFID systems to create more efficient business processes, increase employee productivity, and improve product security and tracking. We gladly serve those in Kingwood, Rosemont, Franklin, Dreahook, Alexandria, Pennington and the neighboring regions and look forward to providing you with the unparalleled service and support you’ve been looking for in a supplier. Contact us today for more information or to request pricing on any equipment or supplies you may need to complete your RFID system. Whether you need a barcode scanner or RFID printer, our team can help you select products and equipment that will exceed your every expectation. We look forward to showing you the Tri-State way!